Herbs are a fun and healthy way to add flavor and nutrition to your food. However, preparing fresh herbs can be a hassle. That's why we designed the Herb Stripper! Easily use it to remove leaves from kale, collards, and smaller herbs in no time! 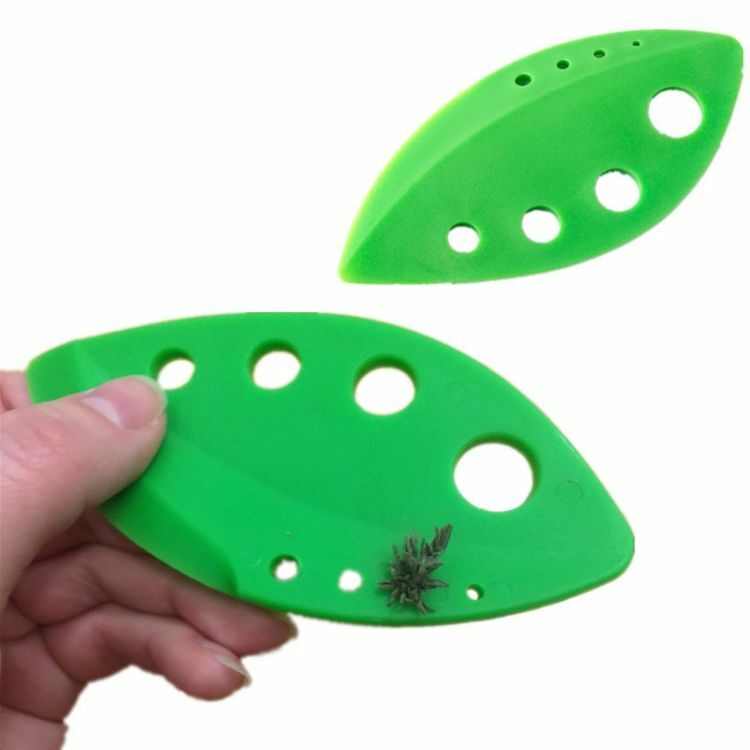 All you do is pull the leaves and stem through the proper graduated hole and the device strips away the good parts! It only takes a few seconds and literally cuts your herb prep time down by half. You can even use it on smaller herbs like rosemary, oregano, and thyme. Designed with 8 graduated sizes, everything from large kale leaves to slim sprigs of tarragon can slip right through!